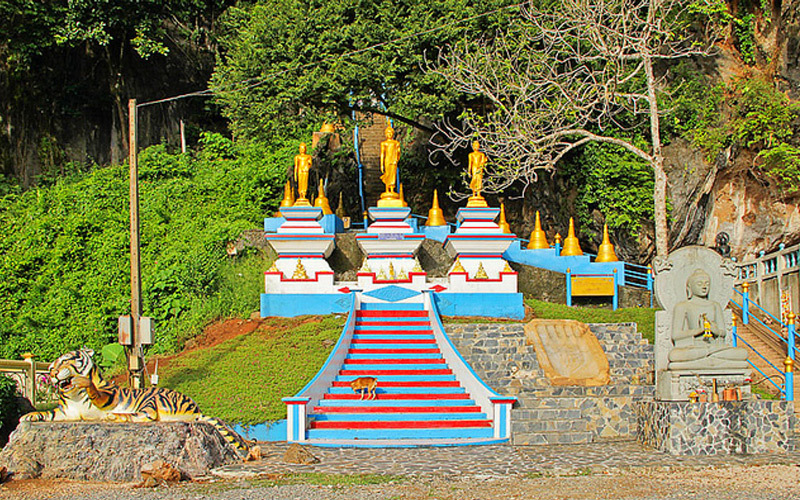 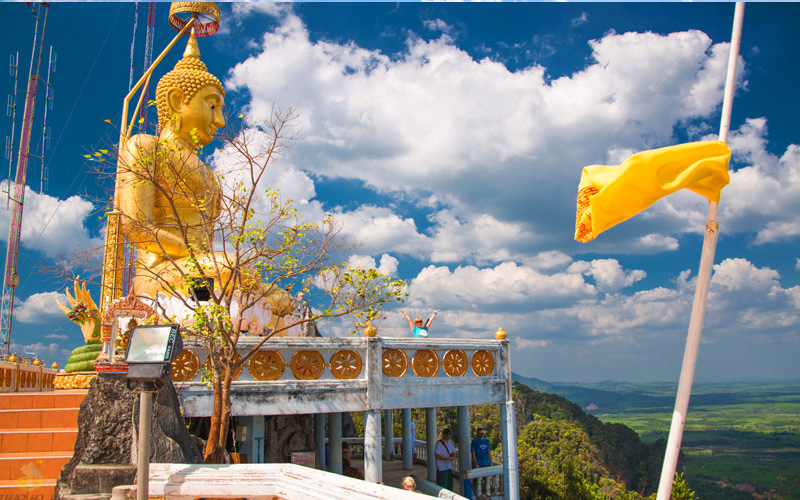 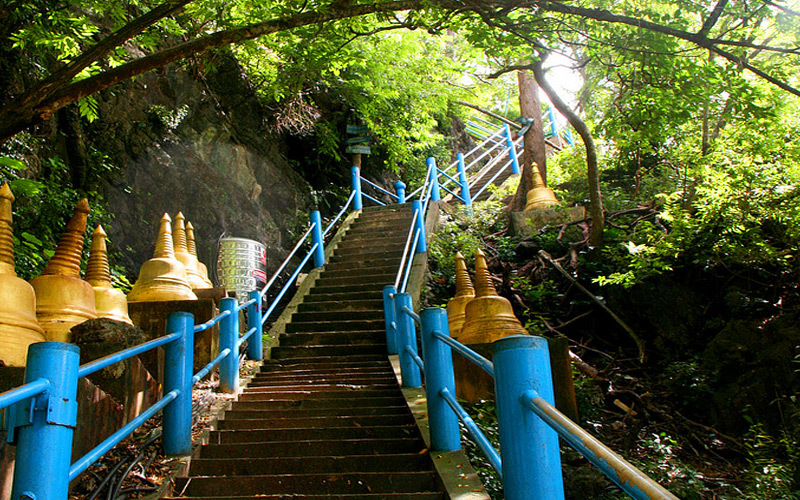 Tiger cave temple : This is temple in the forest park with caves and cliffs in same area. 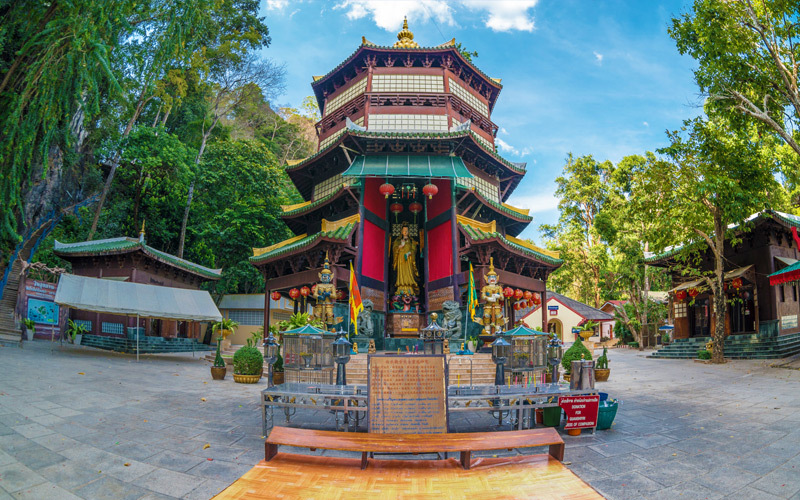 Very big tree more than 100 years and Guan Yin palace there, also at Tiger cave temple have monkeys waiting to welcome visitors there. 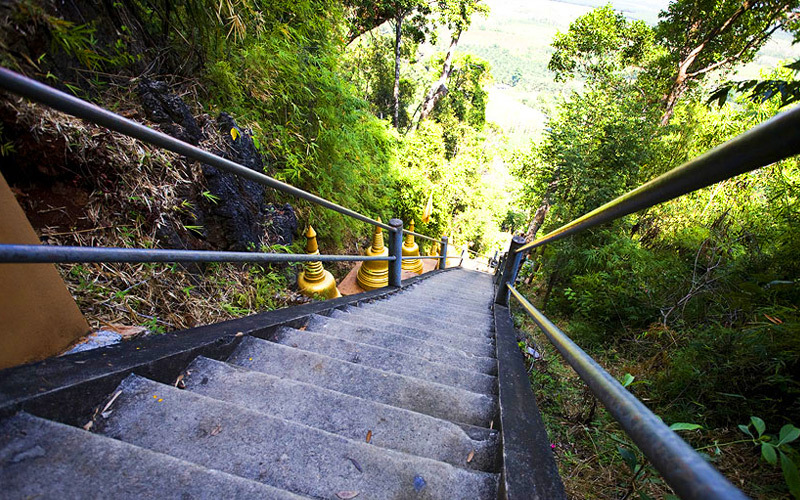 Highlight there is stair 1,237 steps to the top. 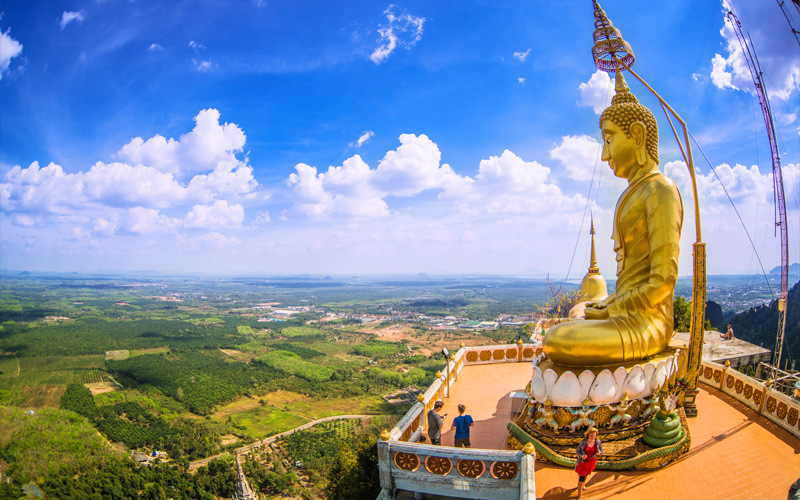 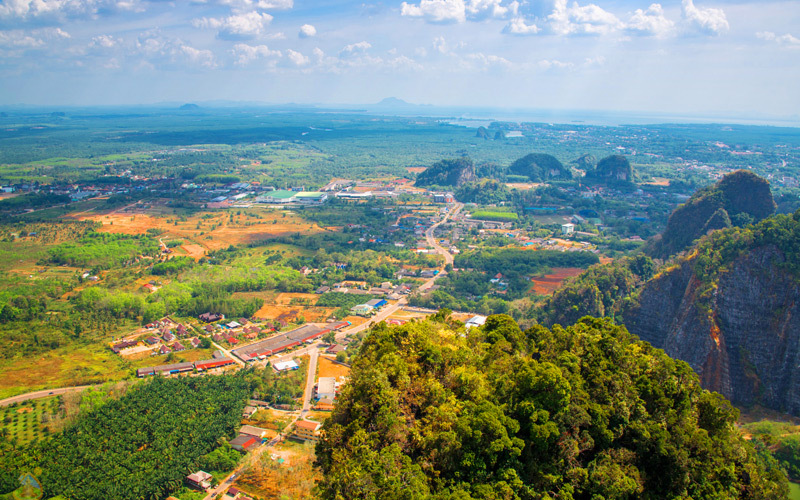 And on top can see panoramic Krabi town view and some part of Andaman sea.